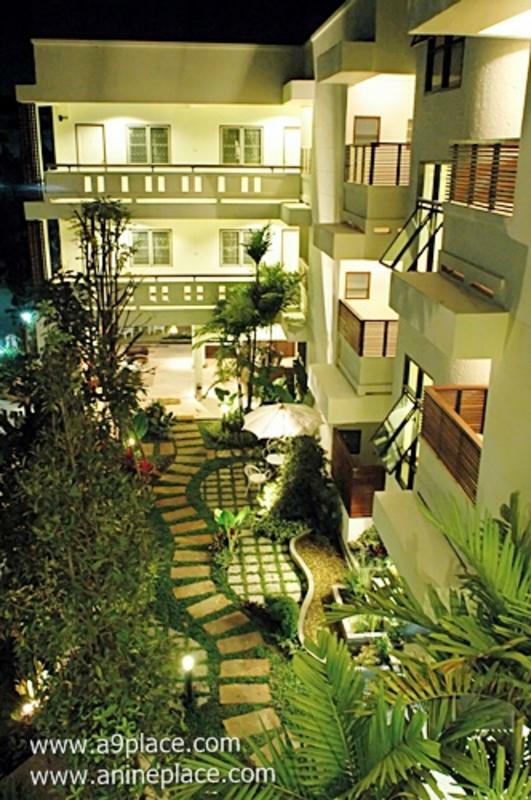 A9 Place is a charming, fully serviced garden apartment facility with breathtaking views of the Northern Mountain Range and relaxing garden areas surrounding a newly refurbished building with all the modern conveniences you would expect. A9 Place is ideal for tourists and business people as we have free wi-fi internet access and many conveniences on site making for a quiet, personal and private atmosphere, ideal for tourists wishing to escape the noise of the city and business travelers looking for a place to relax and get some work done. A9 Place is located on the outskirts of Chiang Mai taking just 10-15 minutes to downtown, so you can stay in the city but not in the middle of the hassle and bustle. - Vending Laundry Washing machine at only 20 baht and 30 baht for 6.5 and 9 KG capacity.